Don't limit those wallpaper print flowers to your dresses and blouses. 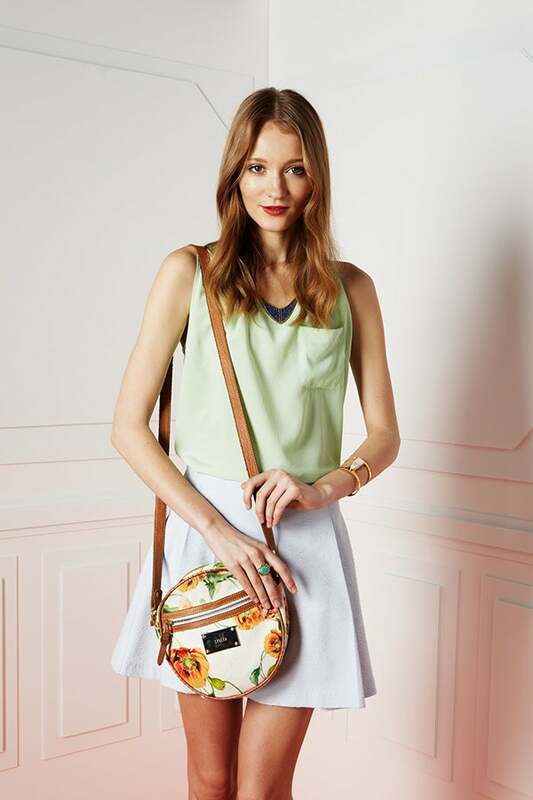 Find your next spring bag in a retro, poppy print, and tell us if your mood doesn't suddenly improve! Stolen Girlfriend's Club Circle Floral Bag, $198, available at Pixie Market. Styled with Whit Cay Tank in Mint, $178, available at Trillium Chicago; Topshop Textured Pleat Skirt, $70, available at Topshop; Lady Grey Vex Crest Necklace, $290, available at Lady Grey; Lizzie Fortunato Arrow T-Bar Cuff in Mother of Pearl, $280, available at Lizzie Fortunato; A Peace Treaty Badra Amazonite Ring, $110, available at Shopbop. Modeled by Olga Kubrak at Major; Styled by Haley Loewenthal; Hair and Makeup by Bethany Brill; Set Design by Marie-Yan Morvan.